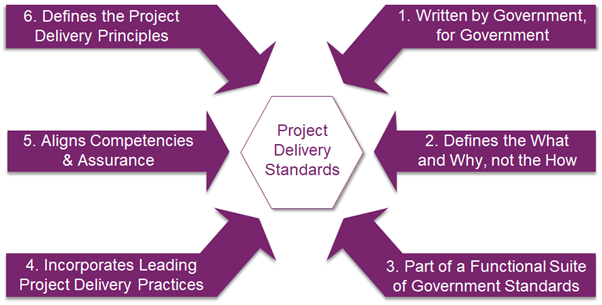 Recognising these benefits, the Infrastructure and Projects Authority (IPA) has worked closely with departments and subject matter experts to develop the first Project Delivery Functional Standard in government, which is now available on gov.uk. This is one of the first Standards to be released which supports government’s strategy for central cross-departmental corporate functions that help deliver more efficient and effective government. 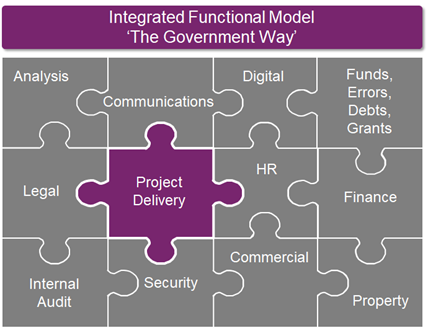 Functions are a way of working horizontally across government, breaking down silos, and bringing specialist skills and expertise into the Civil Service. Creating a Standard for the Project Delivery Function is an important milestone, as it helps provide consensus and consistency for the successful delivery of all types of projects, across all departments. Individual Programme or Project Managers - The standard is a useful reference for them to check their own programme or project against. Are managers doing everything necessary to ensure the work is needed, under control and justifiable? You can learn more about the Project Delivery Standard by registering for a webinar on the 25th October. You will hear from Tony Meggs, CEO of the IPA, Government Departments, and the IPA Projects Profession and Standards Team. For any queries about the Standard, please contact projectdeliveryprofession@ipa.gov.uk.